Spend a fabulous night in with bestselling authors Miranda Dickinson, Rebecca Chance and Karen Swan. 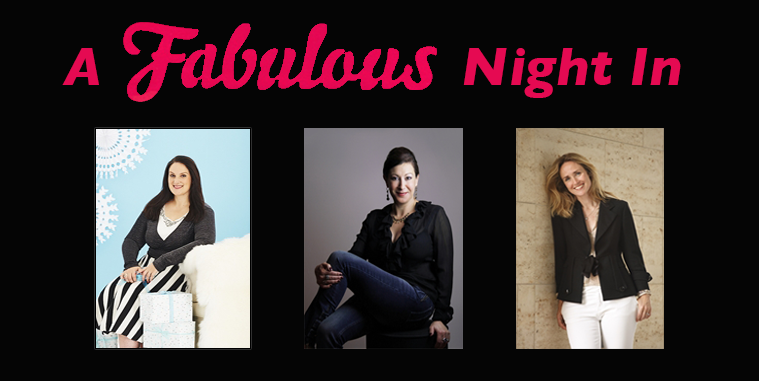 Our friends at Fabulous Magazine are hosting an evening of books, fun and chat on the evening of Monday 26th September at their London HQ. You'll get to meet our brilliant panel of women's fiction authors, hosted by Fabulous' Assistant Editor Claire Frost, over wine and nibbles and have the chance to get your books signed. Miranda Dickinson has always had a head full of stories. From an early age she dreamed of writing a book that would make the heady heights of Kingswinford Library and today she is a bestselling author. She began to write in earnest when a friend gave her The World's Slowest PC, and has subsequently written several bestselling novels, including Fairytale of New York, Welcome to My World and It Started With a Kiss. Her latest novel is Searching for a Silver Lining. Rebecca Chance is the pseudonym of crime writer Lauren Henderson. As Rebecca Chance, she has written the Sunday Times bestselling blockbusters Divas, Bad Girls, Bad Sisters, Killer Heels, Bad Angels, Killer Queens and Bad Brides. Her latest book, KIller Diamonds, is out now. Karen Swan began her career in fashion journalism before giving it all up to raise her three children and a puppy, and to pursue her ambition of becoming a writer. She lives in the forest in Sussex, writing her books in a treehouse overlooking the Downs. Her books include Christmas at Tiffany's, Summer at Tiffany's, The Perfect Present, Christmas in the Snow and Christmas on Primrose Hill. Her latest novel The Paris Secret is out now.